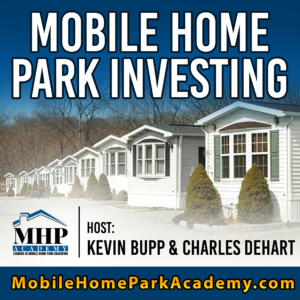 In this episode of the Mobile Home Park Investing Podcast, Kevin shares the mic with Kurt Kelly; Mobile Home Insurance Expert based in Texas. Often times, insuring your investment property will not come through a large insurance house like State Farm. There are many special cases mobile home park owners will need to account for in order to ensure all bases are covered. Kurt goes through the list of 10 major pitfalls park owners face when choosing insurance, and how to deal with them. [7:07] What is Kurt’s background? [12:29] What is the first biggest mistake park owners make when finding insurance? [22:34] Is there a point where you can actually overinsure? [39:20] What is Data Breach and Discrimination coverage?